The Pentek PCC218 is recommended for use with ice machines, coffee and vending machines, food service equipment, water heaters, air conditioning equipment and many other types of water processing equipment. The Pentek PCC-218 is not recommended for whole house water filtration. The Pentek PCC218 keeps hardness particles separated so they cannot precipitate and form deposits when heated. Maximum hardness 15 gpg. The Pentek PCC218 filter forms a protective coating on all metal surfaces, safeguarding against acidity/alkalinity, hardness, chloride and other factors which effect the corrosion of water equipment and pipes. pH range 6.5 to 9.0. Keeps dissolved iron, up to 1 ppm, suspended in solution (sequestered), preventing dissolved iron from precipitating, which would cause staining and discoloration. NOTE: Eye irritant. Contains sodium calcium hexametaphosphate. Avoid contact with eyes. In case of eye contact, flush with water for 15 minutes, get medical attention. Keep out of reach of children. NOTE: Do not use with water that is microbiologically unsafe or of unknown quality without adequate disinfection before or after the system. NOTE: PCC218 cartridges are not recommended for main line water applications with flow rates exceeding 3.0 gpm (11.4 lpm). NOTE: With steamers, the water should be flushed daily. NOTE: Do not use this cartridge on water that will be carbonated. Hexametaphosphate Crystal Water Filter Cartridge. Pentek PCC218 filters contain food-grade hexametaphosphate that dissolves slowly in water to inhibit scale and rust buildup. Effective for treating scale, corrosion and iron problems for up to six months at various flow rates and feed concentrations. 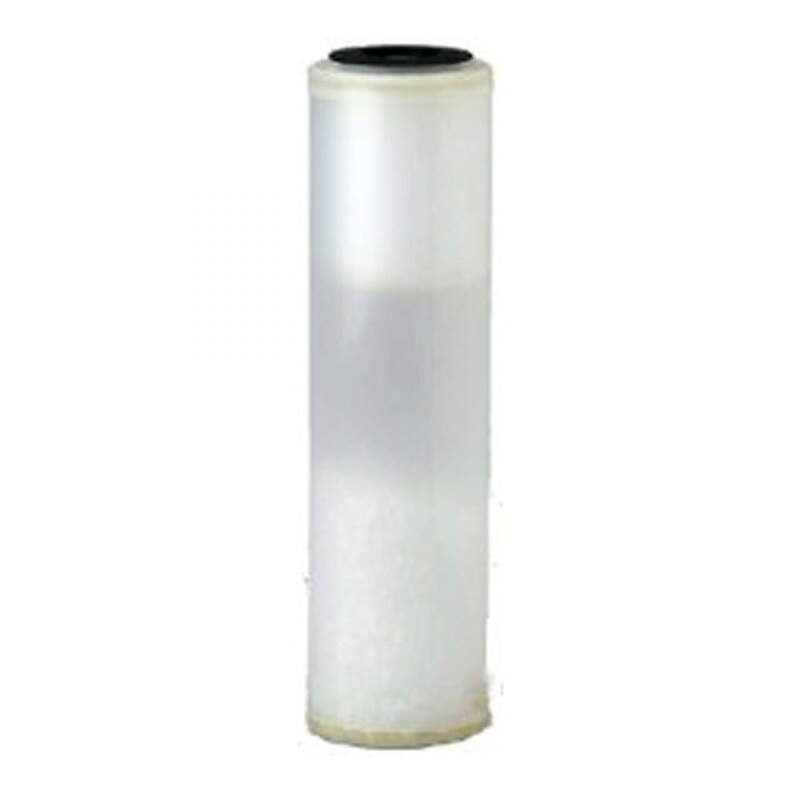 155251 PCC218 filter fits in #10 Standard or Slim Line filter housings for 10 inch standard water filters.